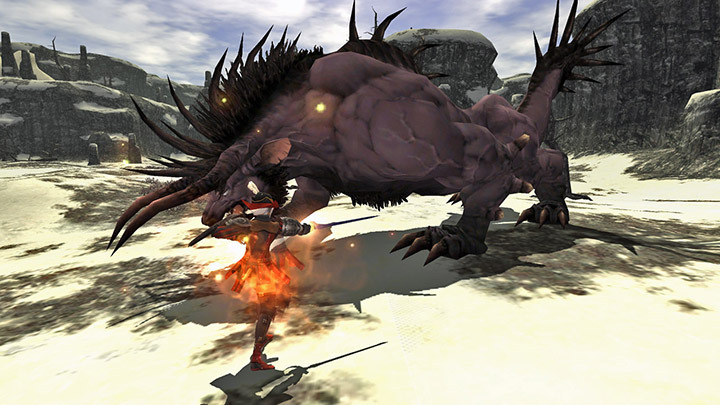 New quests and equipment await in the latest Final Fantasy XI version update! 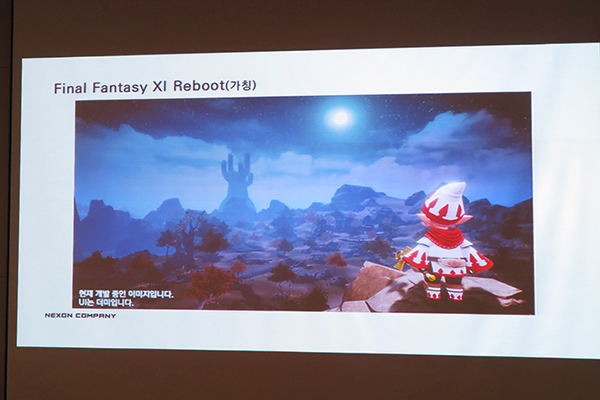 Final Fantasy XI’s second in a series of add-on scenarios, A Moogle Kupo d’Etat was released with the latest July version update. The story begins with the player’s moogle insisting on fixing the leak in his mog house roof. From there player and moogle embark on a strange mission that involves evil moogle mafias, curses, and other wacky happenings. Like the previous add-on scenario, A Moogle Kupo d’Etat starts out with simple tasks targeted at lower level players. As the story progresses, the quests become more difficult, with the final battle requiring a balanced party of Level 75s. The reward for completing this add-on scenario is a customizable piece of head equipment. Players can select one of three head pieces, and augment it from a preset list of attributes. Fans of light, cute, and fun storylines will find A Moogle Kupo d’Etat an enjoyable entertaining storyline. Fans looking for a serious story will not find it here, but will still find the end reward worth completing. Elite training regimes have been expanded to several new areas. Coupled with this update, players are now able to try their luck at augmenting their equipment above Level 50. Similar to the previous training regimes, players must first defeat a Notorious Monster to earn their prize. New runes, as well as a new Moblin Voucher, have been added with the latest version update. In the new maze, players help train a goblin named Chaperix to be the hero of his gobbie village. Players must aid him in a variety of tasks, as well as train him. The award for defeating the maze is an augmented belt, with the attributes based on the type of training Chaperix undergoes. New quests for the ongoing Wings of the Goddess storyline have been added. Players once again accompany Lilisette in her adventures, where she learns the true nature of Cait Sith. Now she, together with Cait Sith, must stop history from being altered. With the release of the new quests come two new zones, Beaucedine Glacier [S] and Xarcabard [S]. New monsters can also be found in these new zones. Seasoned players will find these new areas challenging and interesting to explore. Campaign is also present in both zones, with some rather difficult battles taking place. A new feature has been added to Campaign, called Unions. Unions are regiments, or alliances, that players can join during Campaign. Based on a player’s overall contribution to the battle, they may be eligible to cast lots on specific loot from the Union coffers. Rare items as well as Dynamis currency, can be won from these alliances. A new quest has been added, similar to the Fields of Valor elite training regimes, where players can augment specific weapons. The weapon must first be crafted or bought from the auction house. Then, after starting the quest with a pixie, a balanced party of 75 must defeat a Notorious Monster. Players may try up to 5 times for augment attributes of their liking. Two new abilities have been added to Ninja. Yonin, alevel 40 ability, increases enmity and enhances Ninja Tool Expertise, white at the same time reduces accuracy. Yonin will also improve evasion and reduce enemy critical hit rate if a ninja is in front of the mob. This ability is ideal for ninjas who take the role of tank in their party. Innin, also a level 40 ability, reduces enmity and evasion, while raising accuracy, critical hit rate, and ninjutsu damage if the ninja is behind the mob. Ideal for the ninja that takes on a damage dealing role in a party. Using one ability overrides the other, meaning both cannot be used at the same time. Two new blue mage spells have also been added: Sub-Zero Smash and Triumphant Roar. Both spells can be learned from the new monsters in Beaucedine [S] and Xarcabard [S]. The Player Event Support is a new service that allows players to enhance their in-game events. After a simple application process, players can customize any sort of event, from chocobo racing, to weddings, celebrations, get-togethers and the like. After designating where to place a moogle, a player can then set the moogle’s dialogue, and even alter its appearance. Players who wish to apply may do so through the Final Fantasy XI official web site.